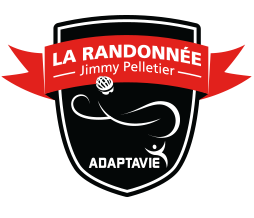 The St-Christophe is pleased to contribute to the development of people with disabilities by becoming a partner of the Randonnée Jimmy Pelletier. We wish them great success! Being part of La Randonnée Jimmy Pelletier event is to be united for a common cause in a climate of generosity, of sharing, of cheerfulness, mutual aid and happiness. Everyone is influenced by Jimmy’s perseverance. Participating in a Jimmy Pelletier Ride event, inevitably makes us discover our inner strengths. Participants and volunteers experience unforgettable moments. Everyone brings together bonds and supports in mutual respect. Les Randonnées Jimmy Pelletier events bring the opportunity to grow. Through the challenges achieve with the inspiring Jimmy, we realize everything is possible.